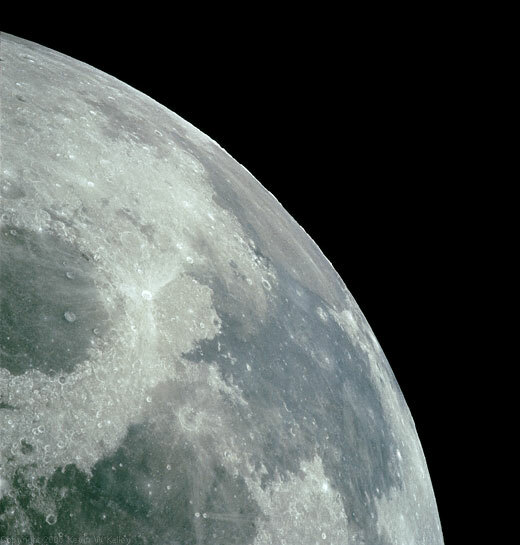 A full moon seen from Apollo 11 as it moved away from the lunar surface early in its trans-Earth trajectory. The right third of the surface seen in this photograph is "far side" and cannot be seen from the Earth. 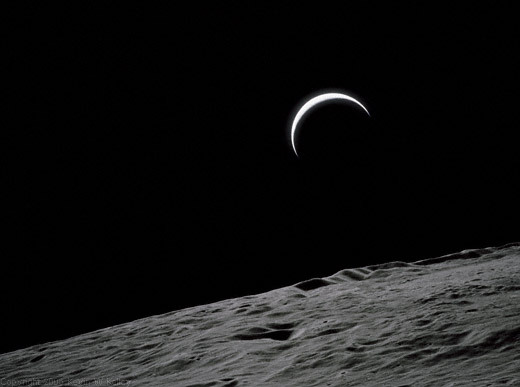 The moon viewed to the southeast from Apollo 17, the last manned moon landing. Mare Fecunditatis is in the upper left. Mare Serenitatis and is visible in the upper right of the image. 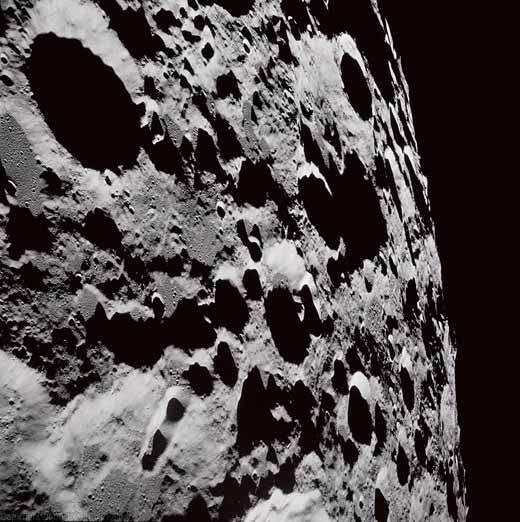 The eastern "far side" of the moon as seen from Apollo 11. This rugged terrain, viewed to the southwest, is typical of the "far side" which is exposed to meteor bombardment. 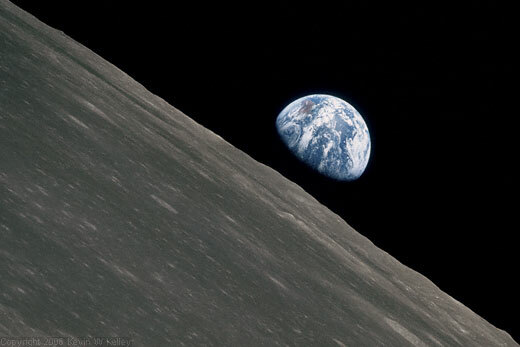 The side facing Earth is more protected, lying as it does in our gravitational "lee." International Astronomical Union crater 308 is clearly visible, located at 179 degrees E, 5 degrees S. the crater is about 50 miles in diameter. The moon's Timocharis Crater. 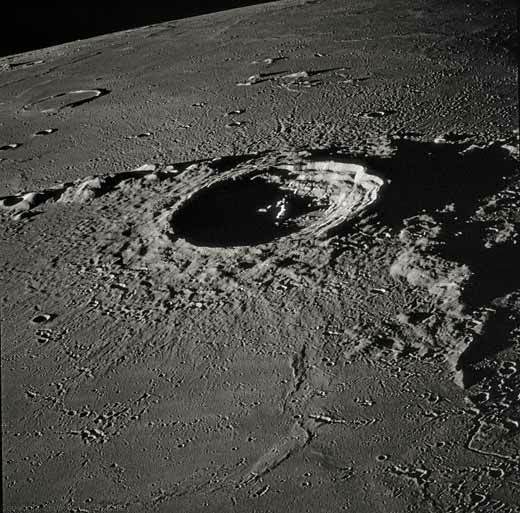 This crater is 20 miles wide and lies on the near side of the moon. Panoramic view of the moon's horizon. 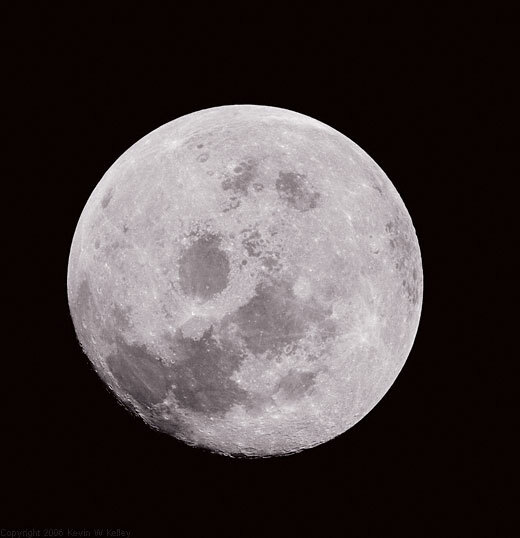 The far side of the moon, at a point exactly opposite the center of the lunar plain which we see from Earth. A small portion of International Astronomical Union crater 308 is seen at upper right. 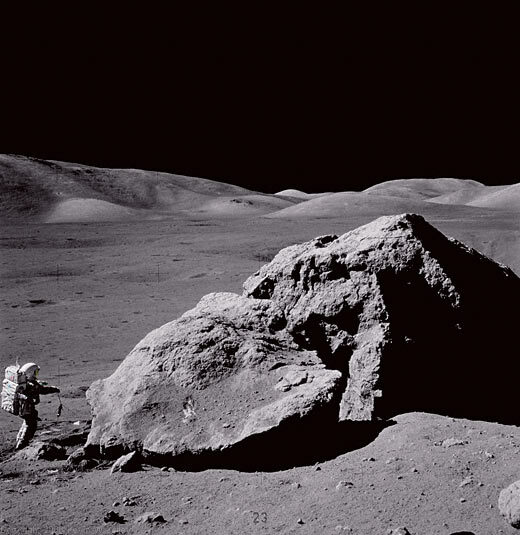 Astronaut Jack Schmitt about to walk behind a large boulder nicknamed "Split Rock." 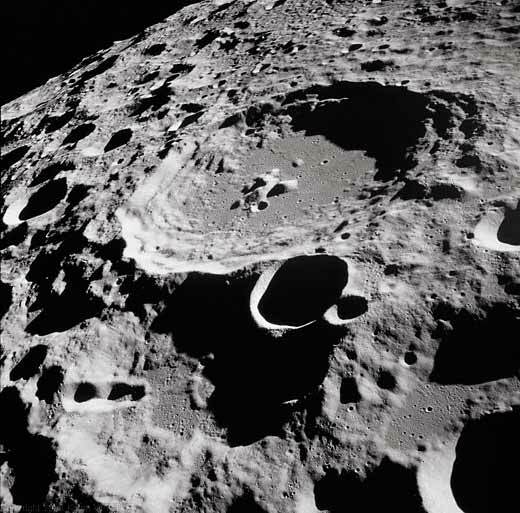 The boulder is probably excess material thrown up from some other large lunar impact. 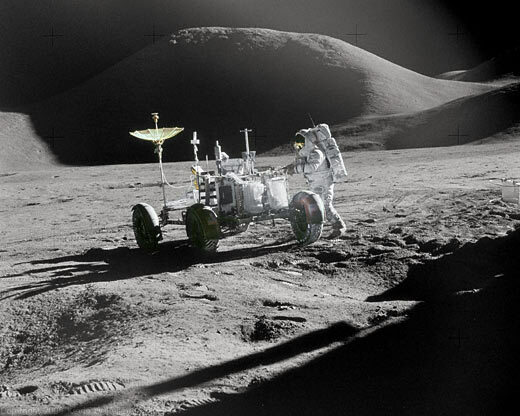 Lunar rover parked on the moon with an astronaut working, nearby lunar hills cast long dark shadows. 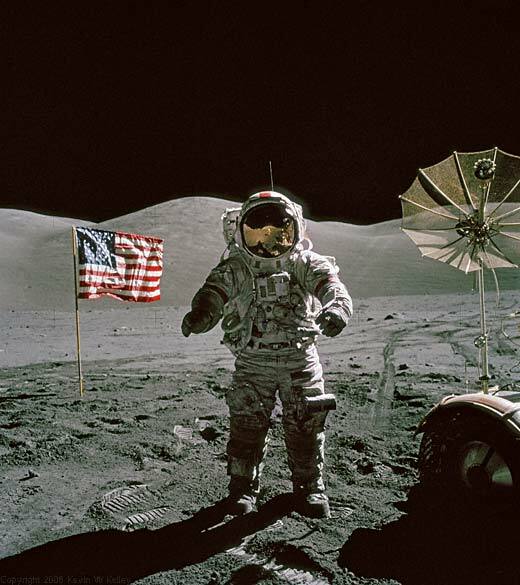 An astronaut stands in bright sunlight near the Lunar Excursion Module and the U.S. flag. 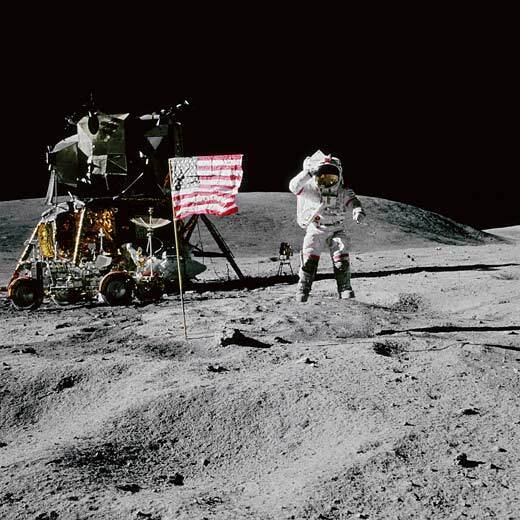 An Astronaut near the U.S. and the lunar rover with its gold plated mesh antenna points back towards Home.